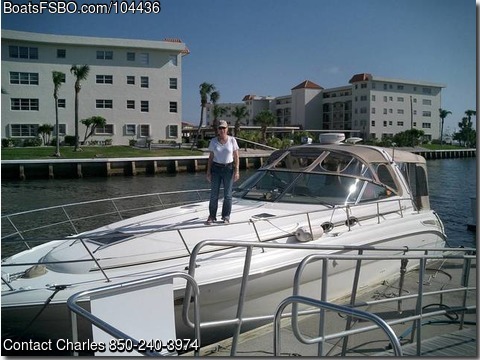 Boat is located in Niceville,Fl.Please contact the owner @ 850-240-3974..
Best 2001 380 Sundancer on the planet! Remanufactured gas engines installed in May 2018. Fresh bottom paint and detailing. New genset installed Jan 2016. New DSC radio displays AIS targets on new Raymarine chartplotter. Best sound system at Crab Island was installed in 2015. Wooden flooring in the cockpit, bow thruster, blue underwater lights under the swim platform, camper top. Survey done in Jan 2017 available on request.